The kit ordering details have been worked out. So, students should purchase their kits as soon as possible. 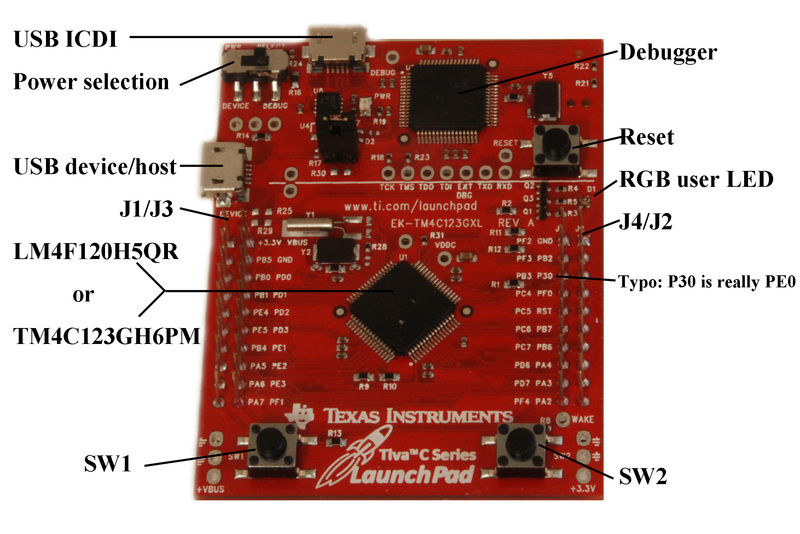 We recommend buying the TM4C123 Tiva LaunchPad from Texas Instruments and the kit parts from the element14 Worldwide Landing Page or the Digi-Key Landing Page. 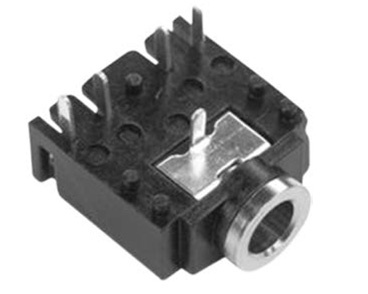 Mouser is also a good alternate source for parts. In addition, there are region specific suppliers from which you can get the extra electronic kit parts. We reccomend taking a look at the Worldwide Distributor Page and then if it proves too expensive check your local regional suppliers. For Questions please see the FAQ page and follow us on Twitter Facebook and Google Plus for the most up to date information. The software download however is not ready yet. A class email will be sent to notify students when you can begin software downloading. 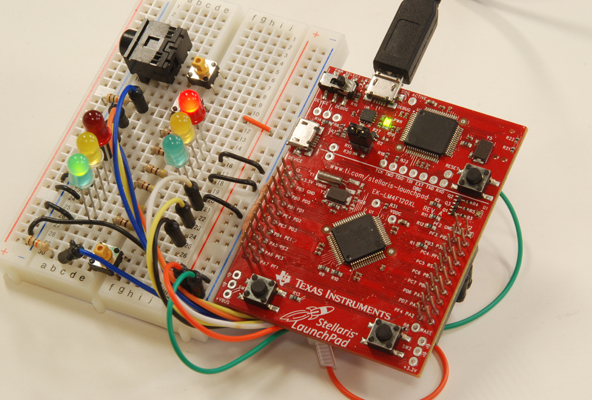 Hands-on lab-based class, building real-world embedded solutions using a bottom-up approach from simple to complex. This 16-week class is now split into two 8-week classes. 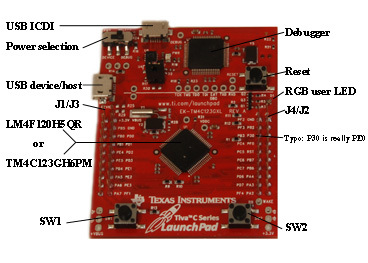 UT.6.10x Embedded Systems - Shape The World: Microcontroller Input/Output includes Modules 1 to 10. 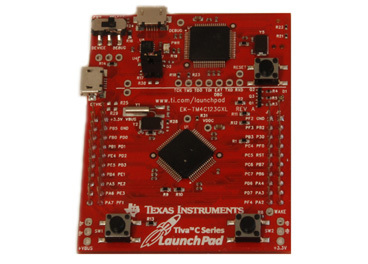 UT.6.20x Embedded Systems - Shape The World: Multi-Threaded Interfacing includes Modules 11 to 16. Students will need to purchase a lab kit. Dr. Jon Valvano is a professor in the Department of Electrical and Computer Engineering at The University of Texas at Austin and holds the Engineering Foundation Centennial Teaching Fellowship in Electrical Engineering. He received his S.B. and S.M. in Electrical and Computer Engineering from MIT in 1977 and his Ph.D. in 1981 from the joint Harvard-MIT program in Medical Engineering and Medical Physics. He joined the faculty at The University of Texas at Austin in 1981 and has 32 years of experience in teaching and research. 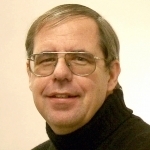 He has received numerous teaching awards and authored five widely-used textbooks on embedded microcomputer systems. 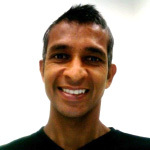 He has co-founded a successful medical device company called Admittance Technologies. His research involves integrated analog/digital processing, low-power design, medical instrumentation, and real-time systems. Dr. Ramesh Yerraballi is a Senior Lecturer in the Departments of Electrical and Computer Engineering and Biomedical Engineering at The University of Texas at Austin. He received his Bachelors degree in Computer Science and Engineering from Osmania University, India and his PhD degree in Computer Science from Old Dominion University, Virginia. Dr. Yerraballi worked at Midwestern State University and The University of Texas at Arlington prior to joining UT Austin in 2008. His research interests are Real-Time Systems, Multimedia and Systems Security. He has taught a broad range of computing classes but currently focusses on Embedded Systems, Circuit Theory, Computer Architecture, Programming, and Statistics. He has taught at both the undergraduate and graduate levels and particularly enjoys teaching at the undergraduate level. This is a hand-on, learn-by-doing course that shows you how to build solutions to real-world problems using embedded systems. 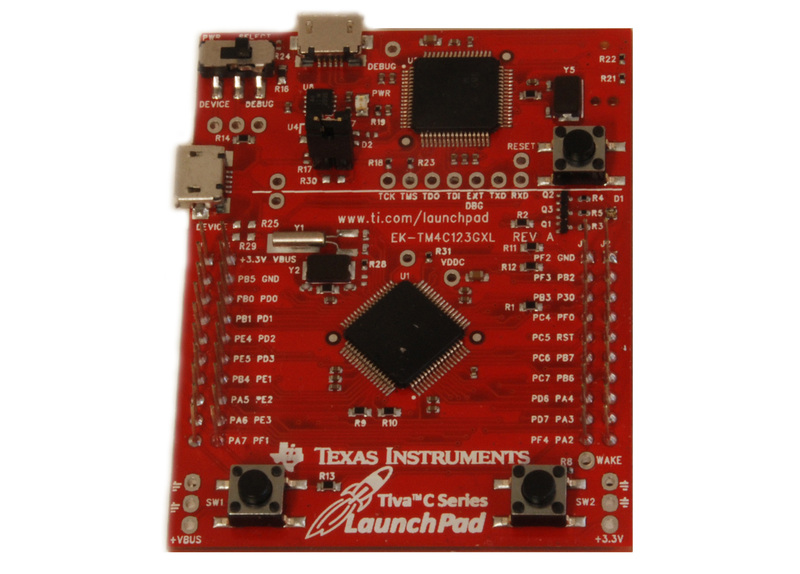 Each student will purchase a Texas Instruments TM4C123 microcontroller kit and a few electronic components. 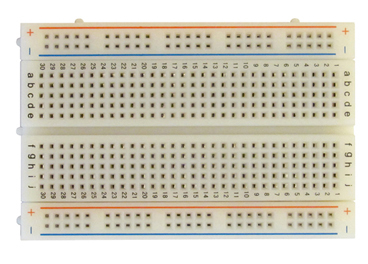 This microcontroller has a state of the art ARM Cortex M4 processor. 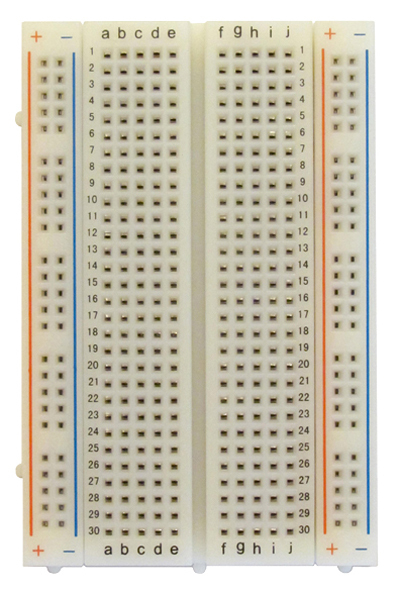 The course uses a bottom-up approach to problem-solving building gradually from simple interfacing of switches and LEDs to complex concepts like display drivers, digital to analog conversion, generation of sound, analog to digital conversion, graphics, interrupts, and communication. 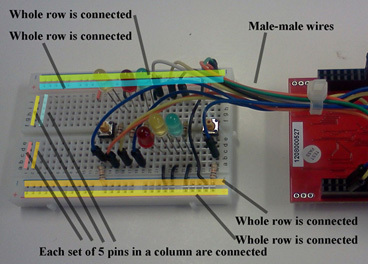 We will present both general principles and practical tips for building circuits and programming the microcontroller in the C programming language. You will develop debugging skills using oscilloscopes, logic analyzers and software instrumentation. Laboratory assignments are first performed in simulation, and then you will build and debug your system on the real microcontroller. 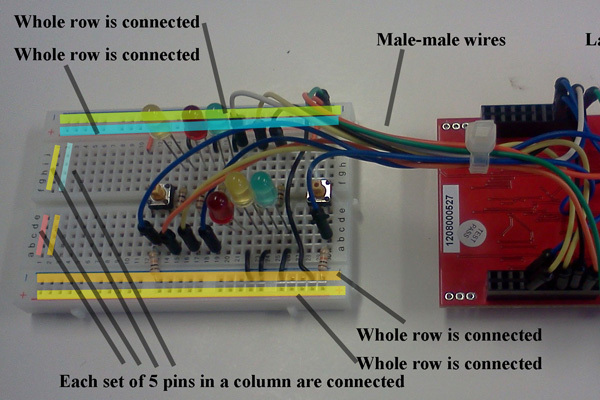 At the conclusion of this course you will be able to build your own arcade-style game. Feel free to use information on this site for education purposes.